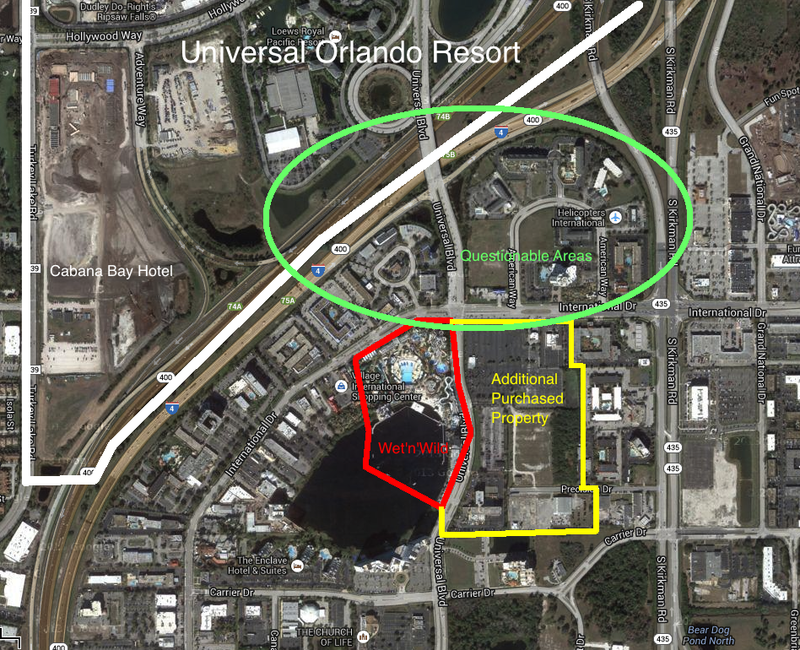 InSanity lurks Inside: Universal Orlando is just Speeding Up and Building a Waterpark? Universal Orlando is just Speeding Up and Building a Waterpark? Universal Orlando Resort has confirmed that they have no intention of slowing down their building spree at their Orlando and Hollywood properties. The Orlando resort has every intention of making their parks and resorts direct competition to Disney World, who is just down the highway. With opening the Wizarding World of Harry Potter they've proven they can be a full destination resort, not simply an add on to the family vacation. Today the Orlando Sentinel published an article stating that the Universal Studios Brand will be spending $500 million a year on their theme parks and that this will be a baseline amount. Already this year they've opened Despicable Me the Ride, The Character Parade, A new laser light nighttime show, The Simpsons retail-theme area and Transformers for the 2013 season. We already know that the newest expansion of Wizarding World themed after Diagon Alley will open in 2014, this makes me wonder what other projects will be coming to the parks next year and in the coming years? That $500 million baseline? That means it can possibly go up with the need to spend more! The same piece has stated that Universal Orlando could have as many as ten thousand hotel rooms, fill them and keep them profitable. This comes on the heels of the resort nearly doubling their hotel rooms in 2014 with the opening of the Cabana Bay Hotel. Needless to say Universal Studios Orlando had many problems when they opened in June of 1990. Remember that old joke "Nothing worked"? Well for Universal Orlando it was true, I was there myself as a kid and remember 5 hour lines for one attraction because 3 others simply didn't work right those first years of operation. Back in those days many suspected that Universal Studios Orlando may close down due to the problems or at the least they could never pose a threat to Walt Disney World. All that began to change with the addition of Islands of Adventure in 1999. We haven't seen anything yet and Universal has just confirmed it for us. More is coming and they have no intention of slowing down, they're just now getting to cruising speed. On the heels of this news we found the long running rumor of a Universal Studios themed waterpark pop back up over on Screamscape who has some source who states it isn't just a rumor, it will be happening. This comes after Universal Orlando Resort purchased of the classic Orlando attraction, Wet'n'Wild which is one of the oldest waterparks in Central Florida or to be more exact, they purchased the land Wet'n'Wild has leased. In additional to this we've found out Universal Orlando Resort owns a lot more property then we ever suspected. However, we don't know exactly where it is or how much it is. To give you an idea of some of the area we know and suspect I've made a little map of the area directly south of the current resort. Here you can clearly see the current developed area of the Universal Orlando Resort in white as well as the area where the Cabana Bay Resort is being built. In Red and Yellow you see Wet'n'Wild as well as the additional property which Universal Orlando has purchased in that deal. The Green is the question, we know some of this land is leased to the current buildings but we don't know who owns it or how long it's been leased. We learned this years ago with the demise of the year-round haunted house called "Skull Kingdom" which one sat at the opposite corner from Wet'n'Wild today. Could Wet'n'Wild be demolished to make room for a Universal Themed Waterpark? Will it go into one of these unknown areas? How about all those hotel rooms they 'can' build? I'd hate to see Wet'n'Wild disappear. Both for the fact it's been in Orlando since 1977 and played a big part of the childhood of every kid who grew up in the area, myself included. At the same time I've LOVE to see Universal theme out a waterpark We just don't know how much of the International Drive corridor they've been buying up in secret and we can't know their plans until they hit the rumor mill. I've been wrong about Universal and their plans in the past, they just aren't predictable in the same way Disney World is since they often pull wildcards out of the blue sky which none of us could foresee. We're just going to have to watch Universal Orlando very closely to see what they are planning for the coming years.